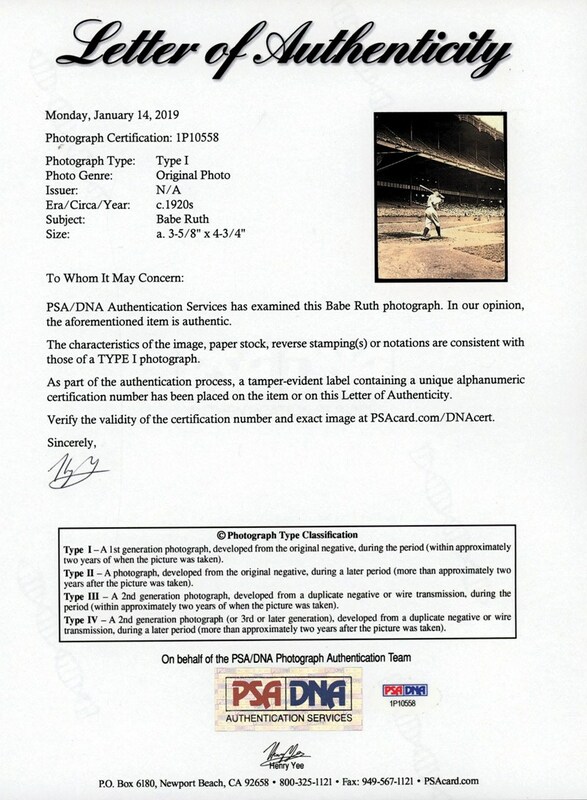 New York Yankee Babe Ruth photos from his pre-1930 playing days continue to rise in value, with these highly coveted keepsakes highly sought after by the hobby's elite enthusiasts. After the Yankees literally "stole" the Bambino from the Boston Red Sox after the 1919 season, Ruth would become New York's starting right fielder due to his uncanny slugging prowess. 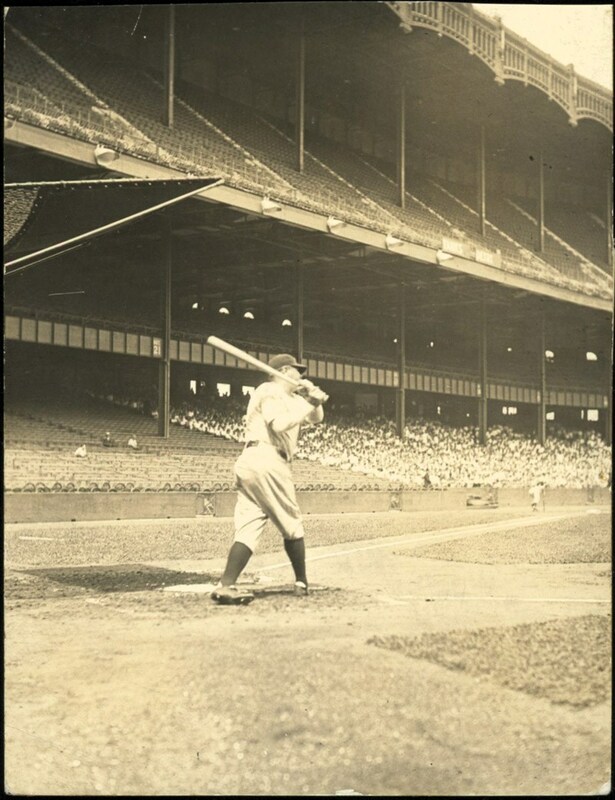 The "Babe" would not disappoint his adoring New York fan base by walloping an incredible 54 round trippers his inaugural 1920 campaign, and following that up by smacking 59 homers his second season. Ruth was here to stay and he would eventually break that 59-dinger record by reaching the "60 homer" mark in his exalted 1927 campaign! 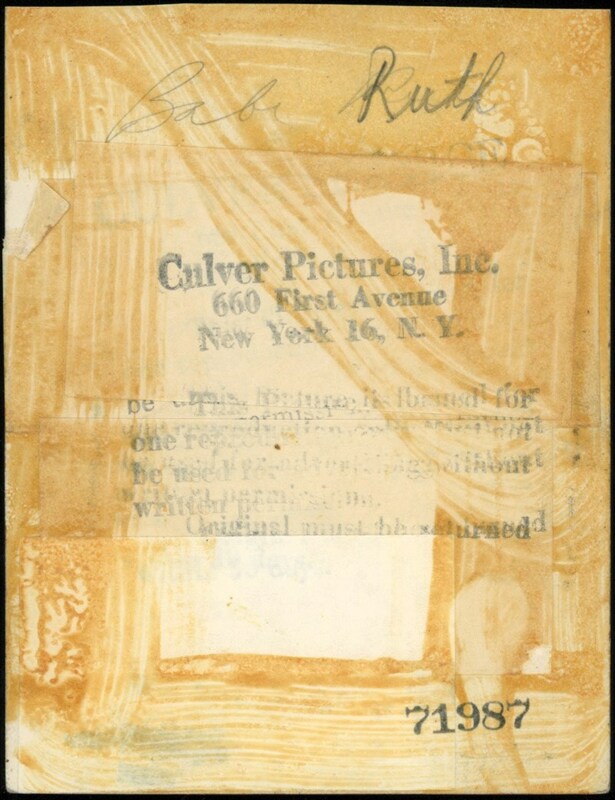 Photos from Ruth's 1920 Yankee playing days are widely sought after by the collecting community, especially when they portray him swinging his might lumber.